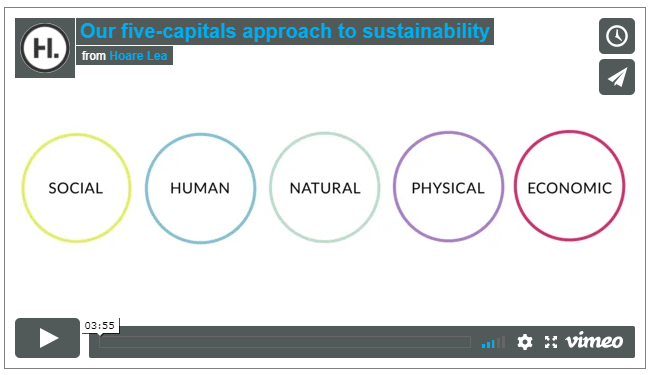 Our five-capitals approach to sustainability. It’s vital that any approach to sustainable design is outcomes-focused. The overarching aim is to emphasise the value that can be created from sustainable developments. account five factors that all stakeholders can understand: In collaboration with our clients, we create simple, clear aims that add value in these key areas.